“We all have a role to play in ensuring our nation’s competitiveness through our commitment to manufacturing. 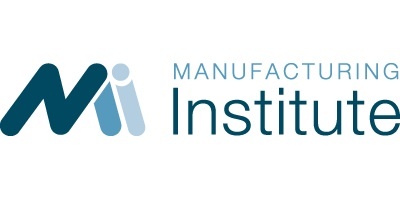 We must empower each other as ambassadors of the industry we love so we can inspire the next­-generation of talent to pursue manufacturing careers and encourage current female talent within the industry,” said Jennifer McNelly, president of The Manufacturing Institute. Manufacturing faces a serious skills gap. Part of this gap is the underrepresentation of women in the industry. While women make up approximately 50% of the labor force, that number is only about 24% in the manufacturing labor force. As part of the STEP Ahead initiative, the Women in Manufacturing STEP Awards honor women in the manufacturing industry who have demonstrated excellence and leadership in their careers and represent all levels of the manufacturing industry, from the factory-floor to the C-suite. STEP Ahead inspires next generation female leaders to pursue a career in manufacturing and showcases the amazing opportunities the manufacturing industry can offer. On March 26, 2015, The Manufacturing Institute will honor 100 women and 30 Emerging Leaders at the STEP Awards in Washington, DC plans to mentor 1,000 girls and young women in STEM by 2016 through our partnership with the National Girls Collaborative Project (NGCP). Through this partnership we have encouraged our STEP Ahead Honorees to engage in NGCP’s FabFems Project is a national database of women in science, technology, engineering and mathematics (STEM) professions who are inspiring role models for young women. This project gives our Honorees an opportunity to inspire young women who have similar interest but aren’t connected to adults who exemplify the STEM career pathway.